There are so many way to use VPN in Android Phone. Here we will show you a simple way and that is using a Small VPN Software. VPN is actually a short form of Virtual Privet Network. 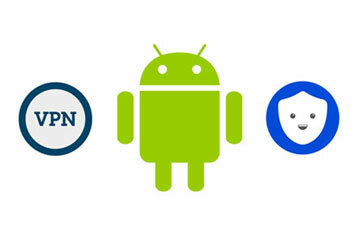 Lets have a look on how to use VPN in Android Phone. If you need to use VPN in your Desktop, may have a look on How to use Opera VPN. We will use SUperVPN free VPN Client. To get that VPN apps, first you need to open Google Play Store. Then just search there “Super VPN” and you will get a lot suggestion. From those, just choose and install SUperVPN free VPN Client as shown below image. As of the users Review, this app has good feedback and more then 50,000,000+ Downloads. But please be noted, this app contains Ads and will collect some information from your device like your location, Device ID & call info, Photos/Media/Files Wi-Fi Connection info etc. So, after installing, open VPN app form your Android Device. 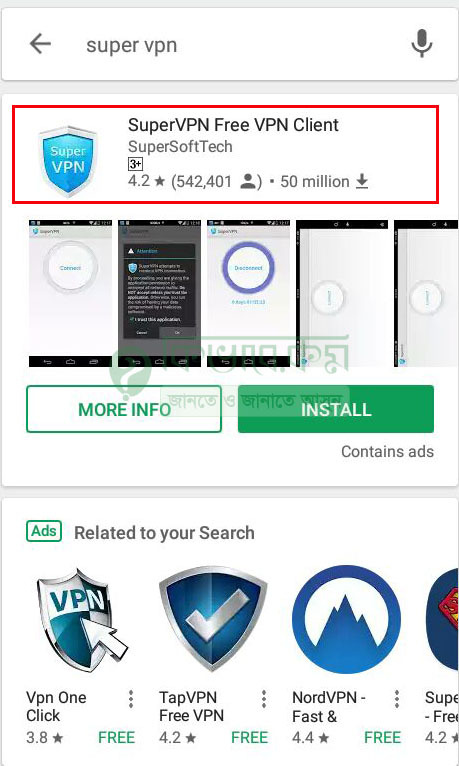 May be at the very first you will find few ads as its a free vpn app. To avoid ad, they have VIP Option also that you have to perches. Follow the steps shown by the app and you will be able to use that. After connecting you may check your new IP and country by just visiting whatismyip.com You will be able to change your location also. To change your Virtual Location see the below image. As you see, at the top right part, there is a simple menu and from that you will get some option like above. Now just choose “Select Location” and then choose your Virtual Location. They will offer you only 5 country as Free user.